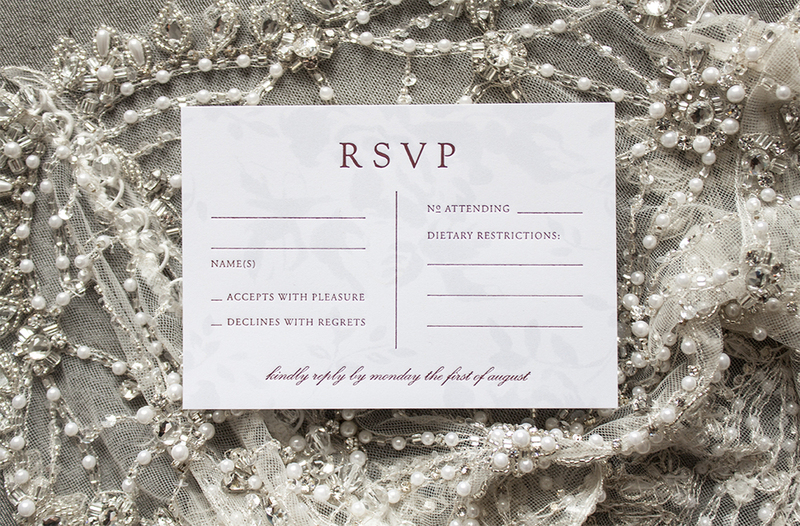 All the details for this suite were bound to come together beautifully – romantic florals, subtle greys, and simple typography. 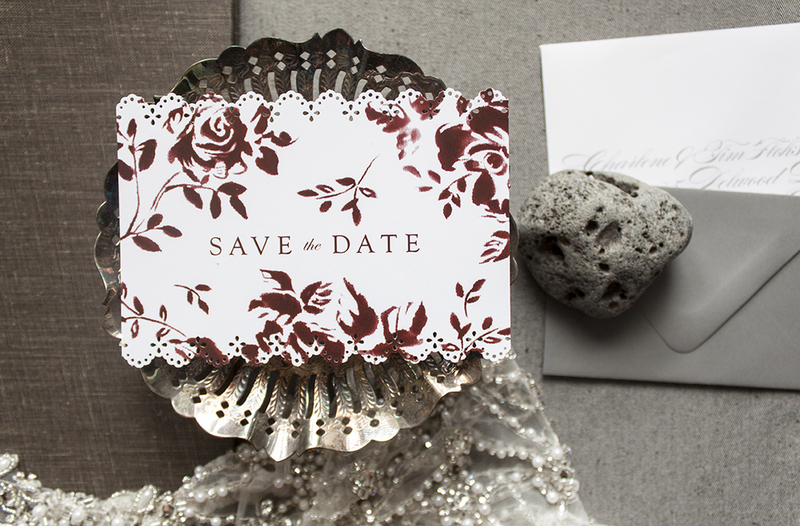 The postcard save the dates set the tone with luscious florals and a delicate lace edge. 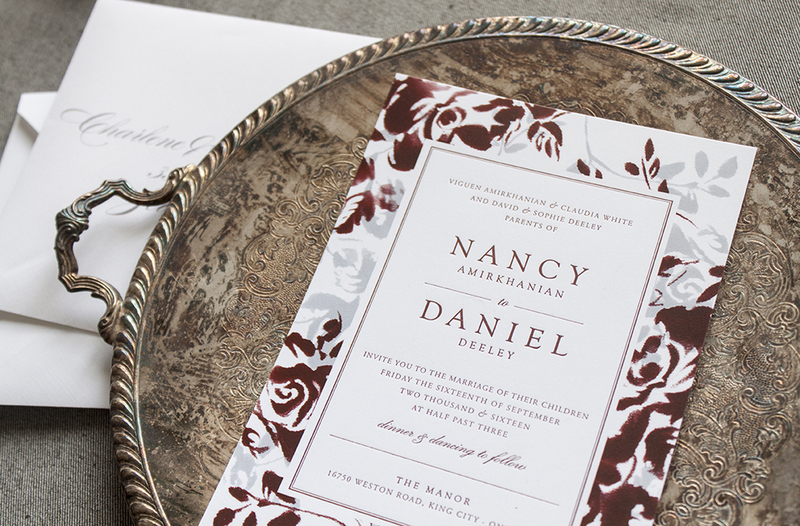 For the invitation suite itself, we combined letterpress type with flat printed floral patterns to create a unique and affordable suite. I'm so pleased with how these turned out! I wish I could explain the satisfying feeling of running your fingers over the debossed type. Absolutely stunning!